Cindy Hess Kasper served for more than 40 years at Our Daily Bread Ministries—30 of those in publishing where she was senior content editor for Our Daily Journey. During that time, she penned youth devotional articles for more than a decade before beginning to write for Our Daily Bread in 2006. She developed a passion for working with words because of her dad and favorite mentor and encourager—longtime senior editor Clair Hess. 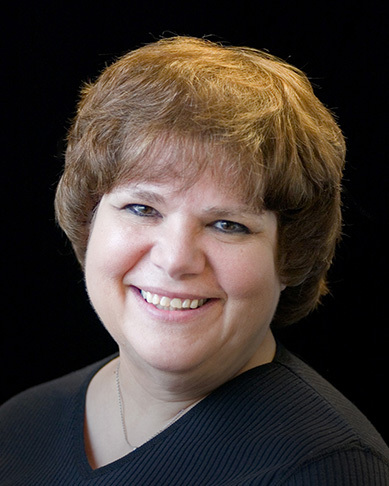 Although she retired in 2018, Cindy continues to write for the devotional. Cindy and her husband, Tom, have three grown children and—according to Cindy—several delightfully crazy grandchildren. Several years ago, the president of a college suggested that students join her in "powering down" for an evening. Although the students agreed, it was with great reluctance that they laid aside their cell phones and entered the chapel. For the next hour, they sat quietly in a service of music and prayer. Afterward, one participant described the experience as "a wonderful opportunity to calm down . . . a place to just tune out all of the extra noise." Sometimes, it's difficult to escape "extra noise." The clamor of both our external and internal worlds can be deafening. But when we are willing to "power down," we begin to understand the psalmist's reminder of the necessity to be still so we can know God (Psalm 46:10). In 1 Kings 19, we discover as well that when the prophet Elijah looked for the Lord, he did not find Him in the pandemonium of the wind or the earthquake or the fire (vv. 9-13). Instead, Elijah heard God's gentle whisper (v. 12). Extra noise is practically guaranteed through holiday celebrations. When families and friends come together, it's likely a time of animated conversations, excess food, boisterous laughter, and sweet expressions of love. But when we quietly open our hearts, we find that time with God is even sweeter. Like Elijah, we are more likely to encounter God in the stillness. And sometimes, if we listen, we too will hear that gentle whisper. My very first job was at a fast-food restaurant. One Saturday evening, a guy kept hanging around, asking when I got out of work. It made me feel uneasy. As the hour grew later, he ordered fries, then a drink, so the manager wouldn’t kick him out. Though I didn’t live far, I was scared to walk home alone through a couple of dark parking lots and a stretch through a sandy field. Finally, at midnight, I went in the office to make a phone call. And the person who answered—my dad—without a second thought got out of a warm bed and five minutes later was there to take me home. The kind of certainty I had that my dad would come to help me that night reminds me of the assurance we read about in Psalm 91. Our Father in heaven is always with us, protecting and caring for us when we are confused or afraid or in need. He declares: “When they call on me, I will answer” (Psalm 91:15 nlt). He is not just a place we can run to for safety. He is our shelter (v. 1). He is the Rock we can cling to for refuge (v. 2). In times of fear, danger, or uncertainty, we can trust God’s promise that when we call on Him, He will hear and be with us in our trouble (vv. 14–15). God is our safe place. Most earthly possessions can easily be destroyed by insects, rust, or can even be stolen. Matthew 6 encourages us to place a special focus—not on things that have a limited lifespan—but those that have eternal value. When my mom died at fifty-seven, she had not accumulated a lot of earthly possessions, but I like to think about the treasure she stored up in heaven (vv. 19–20). I recall how much she loved God and served Him in quiet ways: caring faithfully for her family, teaching children in Sunday school, befriending a woman abandoned by her husband, comforting a young mother who had lost her baby. And she prayed . . . . Even after she lost her sight and became confined to a wheelchair, she continued to love and pray for others. In the book of Ephesians, Paul urges us to pray “on all occasions with all kinds of prayers” (6:18). Demonstrating our daily dependence on God is essential in a family since many children first learn to trust God as they observe genuine faith in the people closest to them (2 Tim. 1:5). There is no better way to teach the utmost importance of prayer than by praying for and with our children. It is one of the ways they begin to sense a compelling need to reach out personally to God in faith. When we “start children off” by modeling “a sincere faith” in God (Prov. 22:6; 2 Tim. 1:5), we give them a special gift, an assurance that God is an ever-present part of our lives—continually loving, guiding, and protecting us. As we exited the parking lot, my husband slowed the car to wait for a young woman riding her bike. When Tom nodded to indicate she could go first, she smiled, waved, and rode on. Moments later, the driver from a parked SUV threw his door open, knocking the young bicyclist to the pavement. Her legs bloodied, she cried as she examined her bent-up bike. Later, we reflected on the accident: If only we had made her wait . . . If only the driver had looked before opening his door. If only . . . Difficulties catch us up in a cycle of second-guessing ourselves. If only I had known my child was with teens who were drinking . . . If only we had found the cancer earlier . . . When unexpected trouble comes, we sometimes question the goodness of God. We may even feel the despair that Martha and Mary experienced when their brother died. Oh, if Jesus had only come when He first found out that Lazarus was sick! (John 11:21, 32). Like Martha and Mary, we don’t always understand why hard things happen to us. But we can rest in the knowledge that God is working out His purposes for a greater good. In every circumstance, we can trust the wisdom of our faithful and loving God.